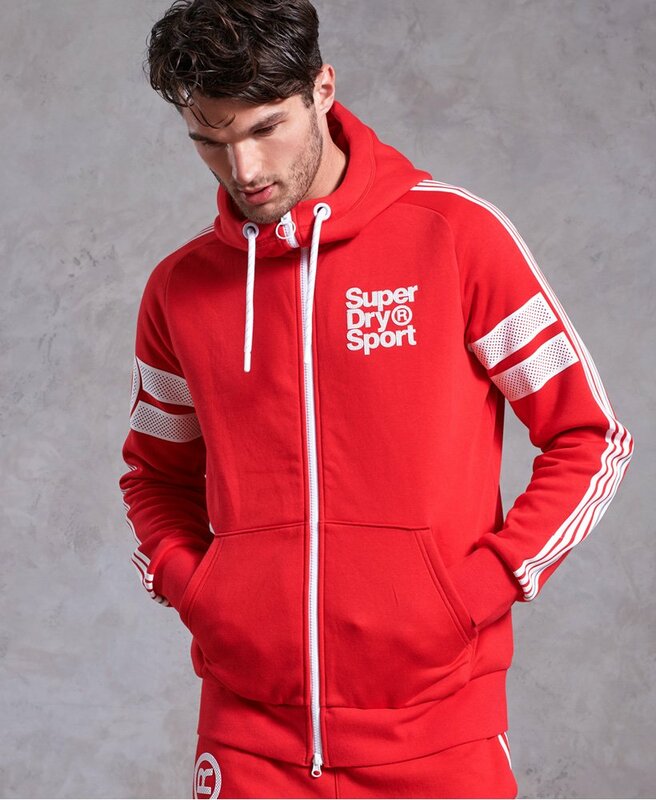 Superdry men’s Oxygen zip hoodie. Part of the Core range, this zip hoodie is the ultimate comfort piece, with its thermal properties making it great to wear to and from the gym. The hoodie features an adjustable drawstring hood and Superdry sport logo detailing on the chest, arm and back. The Oxygen hoodie is finished with stripe detailing on the arms and two front pockets.